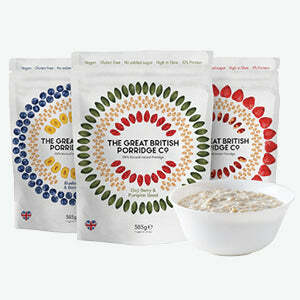 The Great British Porridge has created an all natural, healthy, delicious instant porridge that's vegan and gluten free with no added sugar. Their instant porridge is packed with over fifty percent fruit, nuts, and seeds, lovingly mixed with the best British wholegrain oats and made in small batches in Sussex using only wholly natural, ethically sourced ingredients. Explore the world of The Great British Porridge.